Pittsburg High School has an enrollment of 214 senior class students preparing to graduate on Saturday, May 19th at 2pm. With this size of class enrollment, we are anticipating a large attendance of family and friends. 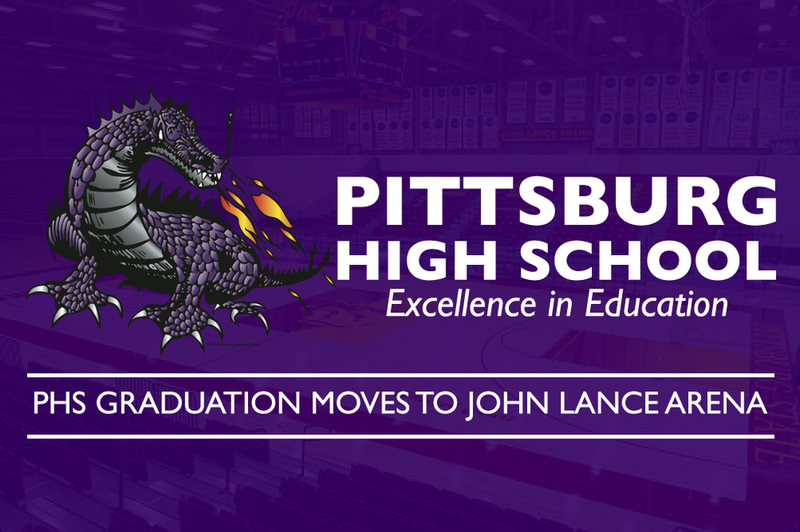 After some discussion, Pittsburg High School is partnering with Pittsburg State University to host graduation at John Lance Arena. This will eliminate the need for a ticket system for our families and accommodate our Dragon family to enjoy this occasion. If you have any further questions, please contact the high school at 620-235-3200.